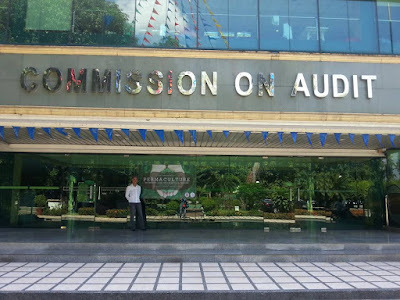 Quezon City - The Commission on Audit (COA) celebrated its 117th founding anniversary last May 2016 with week-long activities which highlighted the commission’s role as a preeminent partner in nation-building. One of the activities that was highlighted during the anniversary week was the seminar on permaculture, a timely and relevant session because of the many concerns and problems the Philippines is currently experiencing due to the effects of climate change. The seminar entitled “Regenerative Living: Thriving Amid Climate Change” is an introduction to the basics of permaculture also known as sustainable farming. Permaculture is a system of agricultural and social design principles centered on simulating or directly utilizing the patterns and features observed in natural ecosystems. The word permaculture originally referred to "permanent agriculture", but was later expanded to also mean "permanent culture" when people realized that to create truly sustainable development both technology and culture had to adjust. COA Commissioner Jose A. Fabia graced the event and gave an inspirational message to the more than 150 attendees composed of COA directors, officials from different regions, and staff from the COA main office. 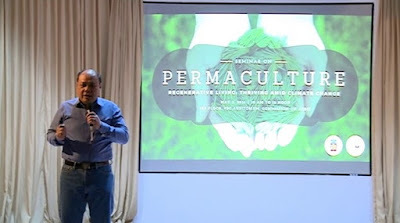 The Commissioner narrated how he was introduced to permaculture when he took a course in Australia, and that his interest grew when he saw the benefits of permaculture and made it his goal to try to apply what he learned. According to Commissioner Fabia, we need to take control and responsibility of the food that we eat. Organic farming and designing systems are critical since these will ensure that we are eating natural food without any chemical or artificial contents. 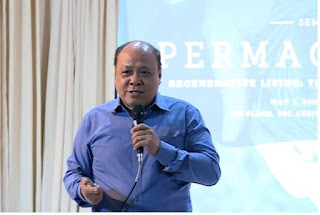 Commissioner Fabia advocates permaculture or what he termed as ‘easy farming’ so that people can do their share in caring for the environment and help in mitigating the effect of climate change. He said that the Kidapawan incident would not have happened if the farmers practiced permaculture. He described permaculture as a "plant and forget" process which will give people varieties of vegetables they can eat for life. Meanwhile, Ms. Cyrene O. Reyes, co-founder of the Pitak Project, an organization that promotes sustainable and regenerative living through natural building and permaculture, was the seminar’s resource person. She defined regenerative living as becoming empowered and getting the most out of ourselves and life around us. Regenerative living describes the processes that restore, renew, revitalize your own source of energy and materials. Ms. Reyes proceeded with the seminar by lecturing on the 18 basic principles and four categories of permaculture. She talked about the three basic ethics of permaculture. 3) fair share or return of surplus. She gave examples on how they are able to practice these basic ethics with their Pitak Project program. The four categories of permaculture are: energy, nature, component placement, and attitudinal. Ms. Reyes discussed every principle included in those four categories. The principles under the category of energy includes: energy inputs, energy cycling, and efficient energy planning. The principles under the category of nature includes: diversity, edge exploitation, small scale intensive systems, biological resource, and accelerating succession and evolution. For the principles under the category of components placement, she discussed the relationship of stability, multi-functionality, support, and relative location to permaculture. Ms. Reyes also gave examples of the attitudinal principles which include cooperation, positivity, yield, and proximity. After her lecture on the categories and principles of permaculture, Ms. Reyes shared their practices and experiences with the Pitak Project. The Pitak Project is actually a model farm in the village of Pideg in Tubao, La Union. The word “pitak” is an Ilocano word term for mud. 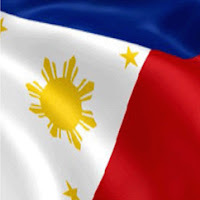 Its Filipino translation is “putik.” They chose the word “pitak” to symbolize the bond of the rich soil and water that gives life. It also embodies their aspirations to build naturally and produce food the permaculture way.